The summer season often brings a Permanent Change of Station (PCS) for military families. 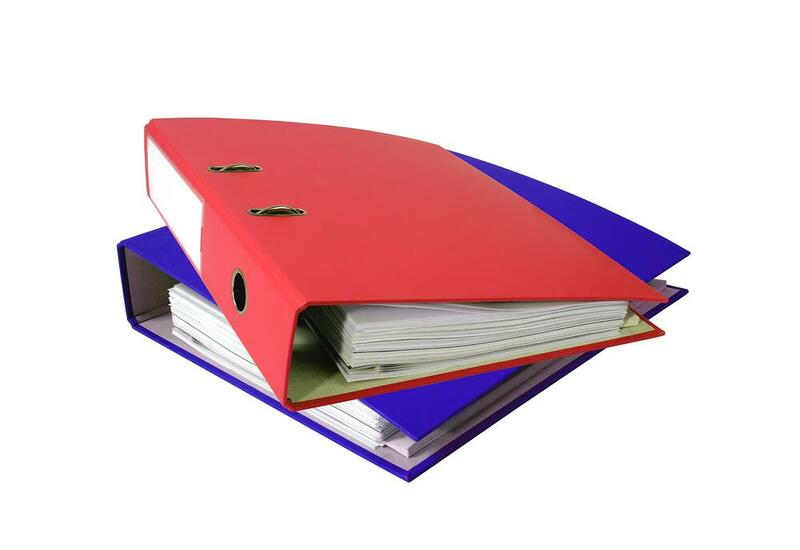 One simple way to feel organized at this busy time is by compiling a binder of your important documents. To help make it easier for you, here are my five “must-have” items for your PCS binder. 1. Copies of Orders: It seems to me that the whole wide world—or at least mine—revolves around a piece of paper: official military orders. Those orders instruct a service member to report to their next assignment. When orders are issued, you’ll need to make several copies. From coordinating transportation to arranging housing, a copy of orders will be needed for just about everything! 2. Household Goods/Shipment Documents: When the moving company arrives and the crew engulfs the contents of your home in packing paper and brown boxes, you’ll want to keep all of the moving company paperwork secure. This includes the Inspection Sheet, where the moving company representative has noted any scratches or dings and dents on your goods. Also keep tabs on the papers that itemize your High Value Items, such as electronics or antiques. Overall, it may be a good idea to keep a working list of make/model/serial numbers and photos of your valuables. A property inventory may be helpful if your goods are ever lost or stolen. 3. Medical/Dental Records: For some, the service member’s health and dental records are transferred electronically to the next duty station. For others, the service member’s records are sealed and hand-carried to the next duty station. For dependents, any records of treatment received from outside of a military installation will need to be collected. With a copy of orders, records from civilian provider should be available without paying a fee. Plan to collect records early on in the moving-prep game, as it may take a little while to generate copies. Consider making a list of any prescription medications for each member of your family. Include refill dates for each item on this list. 4. School Records: Saying “goodbye” to favorite classmates and teachers is a difficult part of any move. Gathering school records and transferring school credits may also be a difficult task. As soon as you have orders in hand, place your request for the sealed transcript and any standardized testing results. If your child has been involved in specific groups or organizations, you may want to ask for recommendation letters for ease of acceptance into programs at the next school. By organizing important school documents, you’ll be well on your way towards the next step of your child's education journey. 5. Veterinary Records: If you happen to have a four-legged friend, you’ll need to gather the health records from your veterinarian. Make plans to collect vet records early on, so it is one less thing on the “to do” list as your departure date nears. From experience with our dogs, proof of rabies vaccination is important when checking into temporary lodging at an installation. With that in mind, ensure all routine vaccinations are up-to-date and keep a copy of your pet’s most recent check-up report handy. By having a binder available for all of the important records you will collect and carry, you may be able to skip some of the moving chaos and feel a bit more organized! For more helpful PCS tips, make sure to subscribe to our monthly newsletter, with this month focusing on helpful PCS tips.